On 4 June, public sector employees in Denmark got new collective agreements. A large majority of trade union members voted in favour of the agreements, which came about after historically long negotiations that put the negotiating parties on the verge of a major labour dispute. Danish soldiers played an active role in the negotiations through their presence at demonstrations as well as the negotiating table. In Denmark, employers and trade unions for public sector employees meet roughly every three years to negotiate collective agreements, which establish the wages and employment conditions in the public sector. The employers and trade unions approached the negotiating table from positions that were very far apart, and for a long while the threat of a major labour dispute – one which would essentially paralyse the public infrastructure of Danish society – loomed heavily over the negotiations. Public sector trade unions representing multiple professions at the municipal, regional and state-level closed ranks in a unique show of solidarity. The negotiations received 24/7 media coverage. Finally, ordinary Danes and public sector employees showed their support for the trade unions’ demands by taking to the streets and posting on social media. Ultimately, the negotiations concluded in a good agreement in which the trade unions’ main demands concerning wages and employment conditions were met. Public sector employees overwhelmingly voted in favour of the agreement through their unions, all of which observed a high voting rate among their members. Both the President of the Union of Enlisted Privates and Corporals in the Danish Army (HKKF), Flemming Vinther, and the President of the Central Union for Regulars (CS), Jesper K. Hansen, were closely involved in the negotiations, with Vinther taking on the role as chief negotiator for approximately 180,000 employees and Hansen as part of the negotiation committee. “The unprecedented level of solidarity between the unions and the incredible support from public sector employees and the Danish public as a whole have played a crucial role in this year’s negotiations. Opinion polls have found considerable support for the employees’ demands, and people have called for fair employment conditions on social media, at demonstrations and in the media. Without such support, we would never have been able to make our counterparts representing the employers budge as much as they did,” said Vinther. 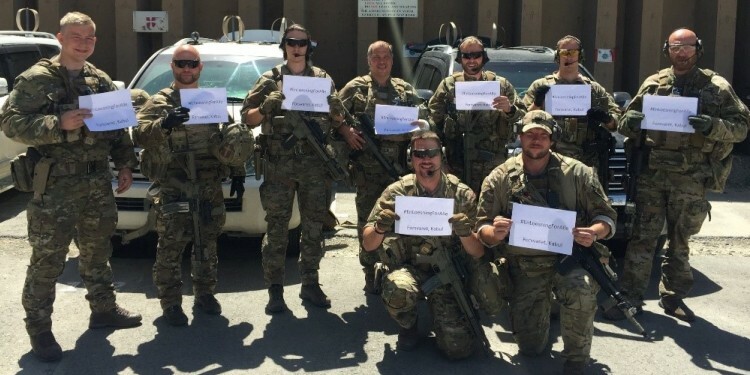 Danish soldiers also showed their support over the course of the negotiations by participating in demonstrations in uniform and through campaigning on social media, for instance by posting pictures of soldiers at home in Denmark or deployed to Kabul, posing in uniforms and holding up a slogan from the joint campaign “A solution for everyone” (“En løsning for alle”). “I must admit that we were somewhat sceptical before the first soldiers began to show up in uniform for the joint actions; how would the other public sector workers react? How would their officers and colleagues in the Danish Defence react? And what would the media say? Our doubts were put to shame, to say the least. The soldiers were warmly welcomed,” said Vinther, adding that EUROMIL and other international organisations sent statements of support during the negotiations. Vinther is both happy and proud of the agreement he reached with the Minister for Public Sector Innovation, Sophie Løhde. For more information, please contact HKKF.